Securing commercial buildings is quite a challenging task because of the big diversity in tackling all security issues. Commercial buildings are more often than not vulnerable to a number of risks. Some of these risks include theft, rioting, vandalisms and unexpected workplace violence. 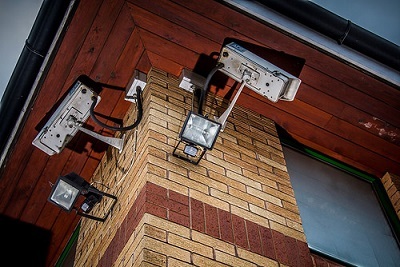 Security management companies focus on certain elements before securing a commercial building. They include types of risks that pertain to locations, building assets, business hours and types of buildings (whether private or public). These factors present a set of challenges that require a dynamic and effective approach to achieve high security level. It is the reason why security management executives require enough time to delve into security matters and come up with creative and innovative solutions. The following are strategic measures that security executes employ to enhance security in commercial buildings. The level of security needed for a particular commercial building is determined through evaluation of risk. It helps in setting up effective measures for the building. Security solutions in Montreal often do a prior thorough assessment on the risk factors involved in securing a particular building. They seek answers to what is being protected, why it is being protected, and the possibility of any security breach. By focusing on the possible risks in a commercial building, security officials help property managers to avoid spending more on risks that actually only need simple security solutions. Security experts advise on the essence of carrying out risk assessment prior to construction of a building. The risk assessment makes it possible to come up with a conclusion that will aid in designing and constructing a building that can handle certain risks. Essentially, the environment plays a role in dictating the security of a place. Therefore, security officials will gauge the perimeter of a building, its exterior and interiors to find ideal solutions. The risk factors related to a particular commercial building determine the security measures that will be put in place by security executives. Ideal commercial building security solutions include installation of alarms and CCTV cameras, certified security design for building, designated parking and so forth. In a building, there are areas that maybe exposed to high risk as compared to others. In that case, they are going to require much security attention. Management of visitors is also a strategic way of controlling insecurity in buildings. It makes a tremendous difference in buildings that have several firms or businesses. Programs for managing visitors make it possible to record essential details of everyone who accessed the building at a particular time. The recorded information is useful in investigations and security responses such as evacuation. Designated parking in commercial buildings should also receive special attention. At the design stage, it is crucial to come up with the best environment design approach to deal with security issues. In fact, the most ideal occasion for creating effective security system for buildings is at the early stages of designing. Commercial building should have security approaches created during the designing of the building. With a good environmental design approach, commercial buildings can have security measures such as restrictions, oversight and boundaries. These elements send out a clear message that the building is under constant monitoring for any suspicious activity. Consequently, it deters people with ill intents from carrying out their plans. A building that has a trashed parking lot and graffiti paintings for instance, will not send a strong message regarding security. If anything, it will only show how much the building is being mishandled by the property manager. Therefore, the right environmental design approach will ensure that the building sends out a clear and strong message to potential intruders. Anyone planning to breach the security of the building will think twice before taking action. After implementing the aforementioned security measures, security executives will advise property managers on additional security measures that may seem fit. For instance, security executives may recommend mobile security patrol services for the building due to cost. It is usually more expensive to hire permanent security personnel as compared to mobile patrol security personnel. Depending on the urgency of security in a particular building, the officials may also recommend installation of motion sensors, high-efficient biometric access and scanners among others. These are all elements that will improve the security level of a building. To effectively manage the security of a commercial building, you need to look into these factors and make effective choices. They make a difference especially at the designing stage of a particular building. Poor choices will definitely result in security compromise. You can avoid security compromise by consulting security companies on management of security in commercial buildings. They have what it takes to turn things up a notch. All in all, solid security management strategies can enhance the safety of people and valuable assets in a commercial building so make sure that you work with a security company that can work with you to develop key security management areas. It refers to monitoring places by making regular or random checkups. This approach ensures all security concerns are addressed at the appropriate time. It averts possible occurrences of security breaches and any disastrous outcome. The patrol services cover a wide range of security matters. It involves monitoring places at particular times or even round the clock to ensure safety. Unlike permanently stationed security guards, security personnel for patrol services are mobile. They are not stuck in a particular station. They are always on the move looking for anything suspicious. If they encounter any problem, they will take appropriate action to solve it. Since they are exposed to different kinds of situation as they carry out their daily duties, they have in-depth experience in detecting security problems. They are ideal for office buildings, condos, malls, warehouses and parking lots among others. Regarding the personnel capacity for security patrol services, you can rest assured that these security experts have what it takes to bring down the crime rate in urban centers. Besides being equipped with security patrol cars, they have massive knowledge regarding security matters as they deal with different situations every day. Their exposure to a number of security concerns enables them to gain more experience required to deliver high security services. They are also flexible and think fast to solve security problems. Stationary security guards are often ineffective as they are particularly confined in a certain area or building. A good mobile security company in Montreal offers a reliable solution by providing fully trained security personnel who can easily patrol urban places and make sure that the security coverage is done well for an entire area instead of only one section in a building or a facility. Mobile security patrol works by identifying risks in a particular place. This involves carrying full inspection of both the exterior and interior parts of a place to determine where the security problem lies. The next step involves gauging the magnitude of the risk before categorizing it. After getting all essential information regarding a particular risk, security companies will come up with certain ways of carrying out mobile security patrol over certain areas. Special attention usually goes to risks that are more likely to occur in a certain place. Therefore, it is important to ensure that the security personnel have all the details regarding a certain problem during the inspection. You can rely on mobile patrol services because they work in conjunction with the local police to ensure there is security. Urban centers have high population and sometimes it can be quite hard for the police to manage the security of the entire place. With the help of security patrol services from various security companies, the burdened is significantly eased. This makes security a manageable task in urban centers. Therefore, when there is any security problem, mobile patrol security officers will quickly get in touch with the local police for backup. Backups usually come in handy when there is a serious security problem. Many hands make light work. The combined efforts of the local police and mobile patrol security services help to alleviate crime level in urban centers. To get mobile patrol security services, you can contact a security company through their customer care number. Alternatively, you may pay the security company a visit to get all the details regarding their services. Be ready to answer all questions regarding the security condition in your place. It will help them to figure out the best solution for your problem. Going through a security company’s review and looking into their reputation will help you to find the best services. Security patrol services play a unique role in curbing security in urban centers. If you feel your area needs a security upgrade, mobile patrol service is one of the ideal solutions that will definitely make a difference. Mobile patrol security services cover a wide range of security problems. With these services in your area, you will be able to notice a difference with time. You will walk in your neighborhood without worrying about security issues. Office buildings, malls, warehouses and parking lots among others will be safe enough for users to patronize. It takes a lot to plan an event. After putting too much effort to come up with an incredible event, the last thing you would want is anyone interfering with the event, thus compromising the safety of the people attending it. If a particular event experiences mayhem, people will not be willing to go to the event next time. That is why as an event organizer, you need to make the right choice for event safety and security. The right way to go is hiring security guards. Well, you may have seen security guards in commercial buildings and other places, but never had the chance to understand their primary roles. These are the elementary roles of security guards for events. Police officers usually respond when there is a crime somewhere. Security guards, on the other hand, prevent the occurrence of crime or any security breach. In that case, one of their roles involves establishing visibility around the event’s perimeter. Their visibility discourages individuals with malicious intentions from carrying out their plans. In fact, most criminals usually have second thoughts when they notice a security guard in an event. This makes security guards an important element for a successful event. During big events, there is usually a lot of distraction because so many things happen at the same time and there are too many people moving up and down. Security guards are trained to keep a vigilant eye on everything. They particularly use three senses (smell, sight, and hearing) to identify any odd thing in the event. If there is a burning cable, they will smell it and get to it very fast to prevent accidents and damages. If someone cries out for help, they will be able to hear and respond promptly. Most importantly, they need to be particularly careful to ensure that no one cunningly diverts their attention to get them off duty. With an event that is fully monitored by professional security guards, you can look forward to a successful and safe event. Earlier, you found out that security guards aim to prevent crime. Apart from preventing crime, monitoring the event helps them to sense crisis and respond promptly to put the situation under control. Professional security guards do not easily get caught unawares. This is because they appreciate their roles in important events. They are also well prepared to deal with different kinds of situation involving event security. Security guards will avert the occurrence of crime in an event and keep a close eye on everything to ensure that there is absolutely nothing suspicious in the event. After much observation and ascertaining that all is well, security guards will assure you of event security. Security guards will also report the occurrences of the day to their supervisors after carrying out successful security patrol services in Montreal events. These reports are important especially when you are looking for a good security company that delivers top-notch security services. 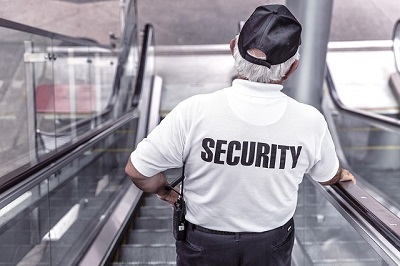 Most good security companies will show their reviews and reports indicating the kind of services they offer, their efficiency and expertise when it comes to event security. Security guards do not only monitor events for security purposes but also carry out security checkups. Depending on security policies of a particular company, security guards may be required to carry out check-ups for all guests or visitors at the entrance point. During this exercise, they will only allow harmless people into the event. If anyone is found with weaponry or any harmful object, he or she will not be allowed into the event. The security guards may hold the person for questioning and report the matter to the police if it is a serious case. Besides screening visitors, security guards also guide them to various places in the event. They offer direction to lost people and ensure all is well. Security guards can also offer you important tips on event security to help you avert possible threats. They will show you ways of preventing certain security problems. They will also show you how to coordinate with them to ensure the event is safe, secure and successful. In all events, security matters a lot at the end of the day. It is the determinant factor of people’s turnout the next time an event is held. People like to be assured of their security. They want assurance that their possessions will not be compromised due to security reasons. 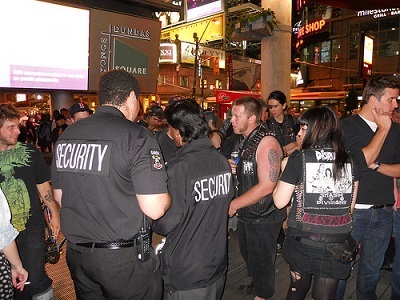 Hiring security guards for services is the best approach to deal with all security concerns of an event. Therefore, as you budget for everything that will make up the event, remember to include security services in the budget. With security guards in your event, you will have a successful event with a great turnout.